JEFFERSON CITY, Mo. 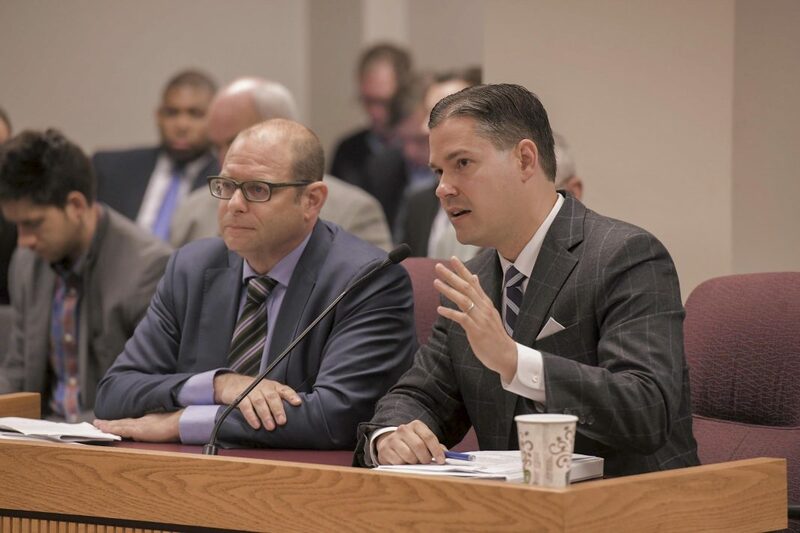 — Missouri taxpayers won’t actually be on the hook for more than $150,000 in legal fees for two attorneys hired solely for potential impeachment proceedings. On June 14, 2018, the Missouri Office of Administration declined to pay Ross Garber and Edward Greim. Sarah Steelman, head of the Office of Administration, sent the two attorneys identical letters denying them state compensation for legal services they provided to then-Governor Eric Greitens. The two attorneys said they were hired by Greitens to represent the governor’s office in its official capacity. Greitens also had attorneys representing him in his personal capacity. “It appears that the primary beneficiary of the legal services that your firm rendered was the former governor individually and that the services were not ‘necessary for the efficient conduct’ of the Governor’s Office,” Steelman said. Steelman also wrote that the governor’s office “at most received incidental benefits” from the lawyers’ services. The Office of Administration denied $118,067 of invoices from Greim of the Kansas City-based Graves Garrett law firm and $64,097 of invoices from Ross Garber at the Connecticut-based Shipman & Goodwin law firm. Garber told the Kansas City Star he assumed the office made a “preliminary decision since it lacks any basis in or reasoning in fact or law” and his firm was considering all legal options. The legality of the Office of the Governor hiring the two attorneys has been a source of controversy for weeks with Attorney General Josh Hawley stating the two were hired illegally. Hawley said that the Attorney General’s Office needs to approval outside counsel for the Governor’s Office and they did not do so in this case. Barnes, who chaired the committee investigating Greitens, urged Steelman earlier this week to deny payment to the two attorneys for several reasons, one of which was that the contract was invalid. State Auditor Nicole Galloway has been very vocal in her belief that Garber and Greim were improperly hired and the state should be on the hook for serves they provided to Greitens personally. “As Auditor, it is my duty to protect Missourians and their tax dollars. I’m glad the administration addressed the concerns I first brought forward in May. Taxpayer dollars should not be wasted by paying for Eric Greitens’ private attorneys,” Galloway said.